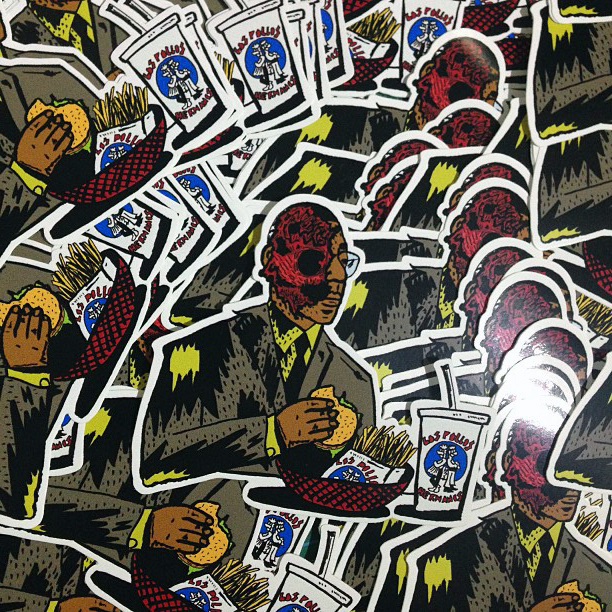 UK illustrator Josh Parkin sets his signature style to two of the baddest characters from Breaking Bad, putting them into sticker form. Referencing key moments for two of the key characters in TV series Breaking Bad, Josh has given Walter White and Gustavo Fring his unique style. 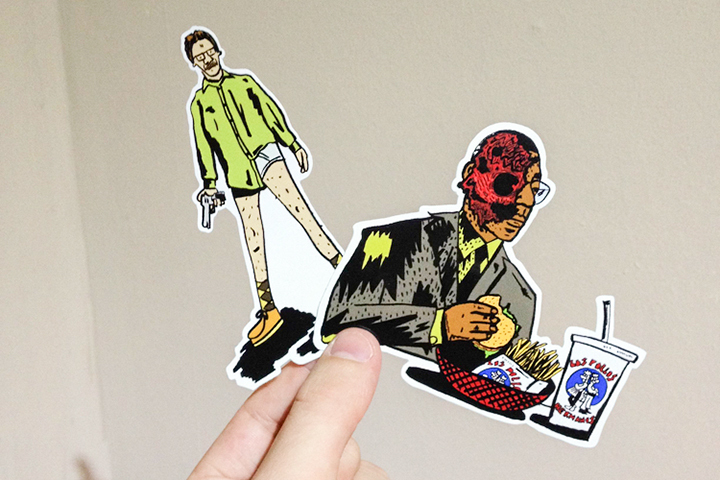 This is a no brainer for any Breaking Bad fan or sticker fan, making a welcome addition to any fridge, laptop etc. while also supporting one of the UK’s most promising young talents. If you’re wondering where you recognise Josh’s style from, make sure you check out his now well known ‘Trainer Takeover’ series and Nike SS13 Footwear illustrated preview for Chimp Store. 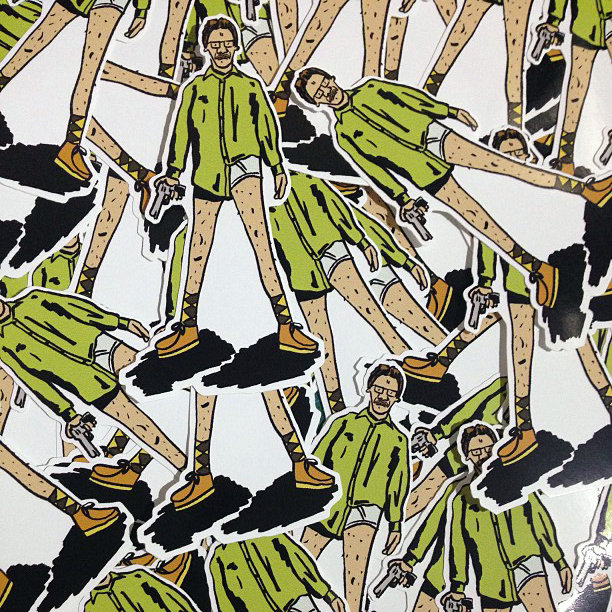 Head over to Josh Parkin’s Big Cartel to purchase a pack for £3 now.